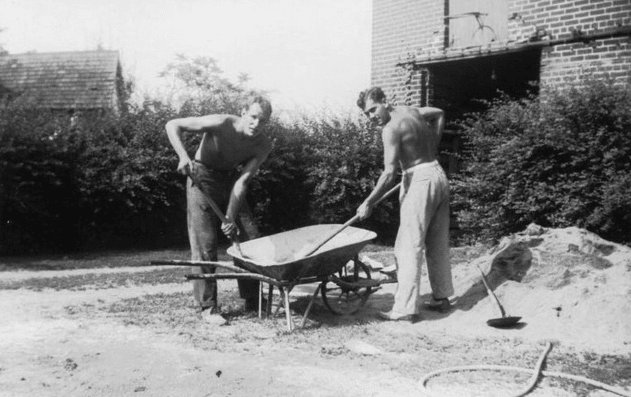 When I first started the Art of Manliness, I didn’t put too much stock in physical strength as an important component of manhood. Strength of character, sure, but physical strength was more of a secondary pursuit. Maybe it was because I started AoM partly to get away from the overdone fetishization of getting ripped that was (and is) promoted by other men’s magazines. Maybe it was because I wasn’t in shape myself at the time. (We often construct our definition of manhood in accordance with that which describes ourselves best, and I’m certainly not immune to this temptation!). I had played football in high school, but after going to college, my workouts became halfhearted and sporadic. This was especially true in law school — between trying to keep up my grades and running a fledgling blog, exercise just wasn’t a top priority. Over the last couple years, however, working out, and lifting weights in particular, has become a fundamental part of my life. It started with my 90-day testosterone experiment; I started exercising regularly to see what effect it would have on my T levels. When the official experiment ended, the habit stuck. I went from being fairly indifferent to exercise, to looking forward to my workouts as my favorite part of the day. And I found that building my body changed the way I felt and carried myself as a man. At the same time, my research into the core of masculinity gave me a theoretical understanding of the role of strength in the ancient, universal code of manhood. This research convinced me that strength forms the nucleus of manliness, as it truly makes all the other manly virtues possible. 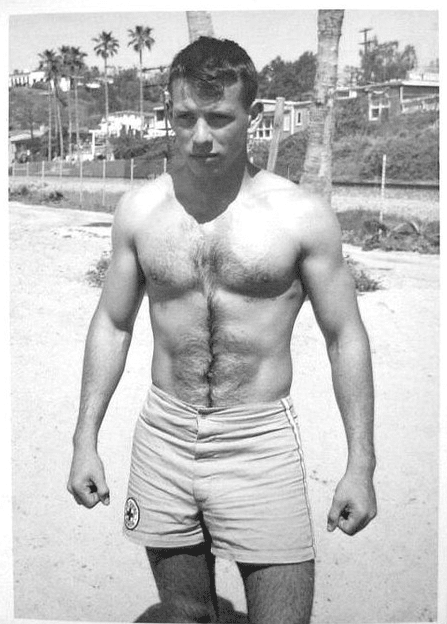 Over time then, the importance of strength-building to a man’s virility sunk into both my mind and my bones. Strength may not seem very necessary in today’s world where most men sit behind desks at work all day. But being strong is never a disadvantage, and it is frequently quite beneficial on a variety of fronts. Most importantly, strength forms the backbone of the code of manhood. Today I’d like to talk about why. Physical strength constitutes one of the few and most significant differences between men and women. If the Protector role represents the core of masculinity, then physical strength forms its very nucleus. It’s the fundamental factor as to whether a man can hold his own in a fight – whether he can push back when pushed. It’s thus central to how humans viscerally judge a man’s manliness. You can call it stupid or silly or archaic, but it all goes back to the way we evaluate men — could they keep the perimeter in a crisis? 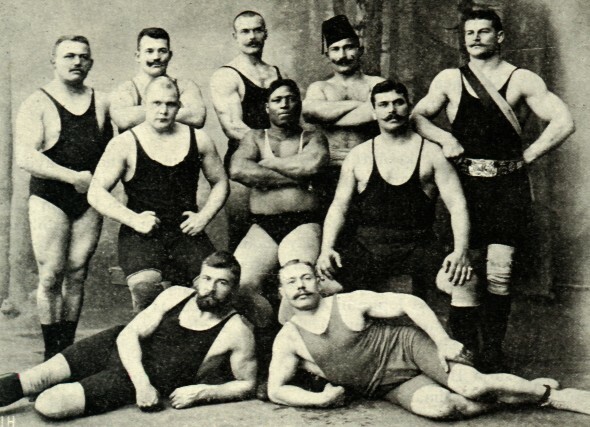 Though we now live in a comfortable time of peace, that hasn’t changed the fact that men and women alike (even the most progressive of them) find men who appear physically strong and fit more respectable, authoritative, attractive — and manly — than men who aren’t. Additionally, lifting boosts your testosterone, which is the lifeblood of masculinity. Thus, if you want to feel more like a man (and be treated like one), you should seek to build your body. Building strength boosts your physical and mental health. Obesity kills. Exercising and raising your T (which lifting weights does) keeps your body healthy and combats depression. Need I say more? Physical strength is practical and prepares you for any exigency. Even in our safe, suburban society, strength still comes in handy. I want to know that I’m strong enough to carry someone out of a burning home to safety (as well as being able to save my own life in an emergency); I want the strength to lift heavy bags of mulch when I’m working around my house; I want to be able to put a would-be attacker on the ground. 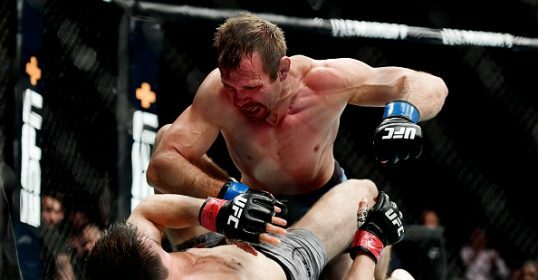 In a way, strength can be classified as an antifragility-increasing redundancy: most of the time we can rely on our tech and tools to get the job done for us, but you never know when you’re going to need to get down in the dirt, and when you do, you’ll be glad to be able to call upon your bodily strength. When everything else gets stripped away, what you’ve got left is the most basic of struggles — muscle versus nature and muscle versus muscle. Physical strength fosters well-rounded excellence and a life of full flourishing. Too often we think of strength-building as something for shallow cads and dumb bros. We set up a false dichotomy between virtue and strength, brains and brawn. Yet many great men in history, including philosophers, statesman, and writers, rejected this phony divide, and emphasized the importance of developing body, mind, and soul. They understood that without a strong body, a man will never be able to develop his other virtues to their highest potential. 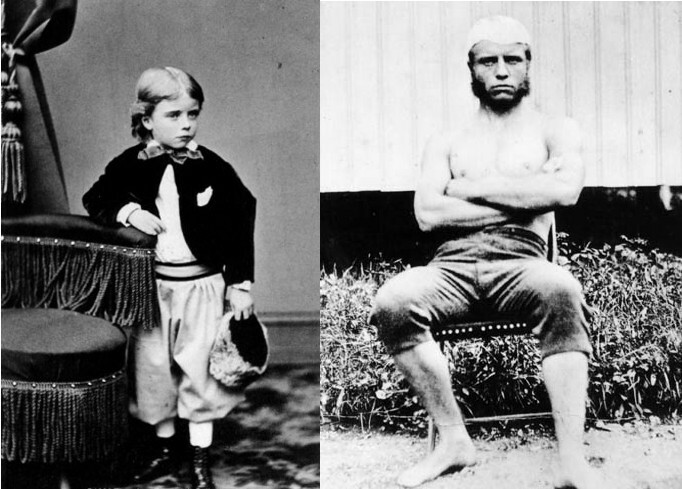 You may be familiar with Theodore Roosevelt’s conviction of this truth — how he transformed a weak, sickly boyhood into a strong and virile manhood after his father declared to him: “Theodore, you have the mind, but you have not the body, and without the help of the body, the mind cannot go as far as it should. You must make your body.” TR answered, “I will make my body!” and spent the rest of his life doing so, vigorously boxing, wrestling, hiking, swimming, and hunting until his death. 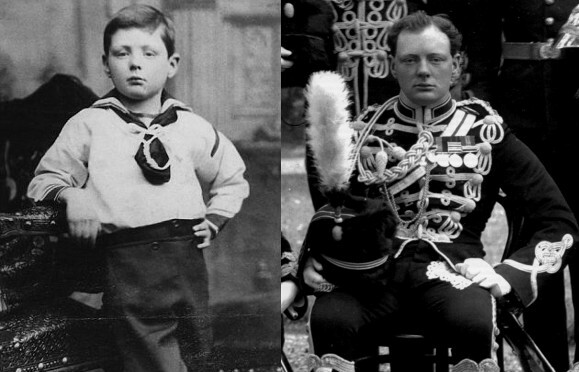 Beginning at the age of seven, Churchill deliberately set out to change his nature, to prove that biology need not be destiny. Anthony Storr, the English psychiatrist and author of Human Aggression, concludes that he ‘was, to a marked extent, forcing himself to go against his own inner nature.’ As a Victorian, Churchill believed he could be master of his fate, and that faith sustained him, but everything we have learned about human motivation since then underscores the immensity of his undertaking. W. H. Sheldon has delineated three dominant physiques, each with its concomitant personality traits. Of the three—ectomorphic (slight), mesomorphic (muscular), and endomorphic (fat)—Churchill clearly fell in the third category. His head was ponderous, his limbs small, his belly tumescent, his chest puny. His skin was so sensitive that he broke into a rash unless he slept naked at night between silk sheets. By day he could wear only silk underwear against his skin. Endomorphs are characteristically lazy, calculating, easygoing, and predictable. Churchill was none of these. He altered his emotional constitution to that of an athlete, projecting the image of a valiant, indomitable bulldog. Churchill and TR understood that if they wanted to develop their minds to their peak excellence, and do something significant on the world stage, they could not spend their lives curled up in bed reading stacks of books. Instead, they would need the energy to travel the world and expand not only their mental horizons, but their physical ones too — to test their moral convictions and cognitive powers in the real life crucible of leadership. A strong body would take them where they needed to be, and help them perform nobly in the field. Without physical strength, they could never have achieved, or become, all that they did. Thus, if you’re interested in developing to your highest potential, you would do well to follow in these great men’s footsteps, and seek what the ancients extolled as mens sana in corpore sano: a sound mind in a sound body. Building physical strength teaches life lessons. “It took me years to fully appreciate the value of the lessons I have learned from the Iron. I used to think that it was my adversary, that I was trying to lift that which does not want to be lifted. I was wrong. When the Iron doesn’t want to come off the mat, it’s the kindest thing it can do for you. If it flew up and went through the ceiling, it wouldn’t teach you anything. That’s the way the Iron talks to you. It tells you that the material you work with is that which you will come to resemble. That which you work against will always work against you. Strength acts as the backbone to our virtue. Not only does strength-building develop one’s character and virtue, it provides the necessary backbone – the proper framework – on which to build our moral values. The cloak of virtue hangs very awkwardly on a man without fire and fight; it droops and sags when draped across a structure that lacks strength and firmness. We all know amiable men who are sickly thin or grossly overweight, who look like they’d burst into tears if a bully broke their walking stick and would get winded mounting a flight of stairs. These mealy men profess to be nice guys, perfect gentlemen, but we don’t respect them as men, or gentlemen either. They’re good men, but not good at being men. Strength secures our virtue onto us. The reason we may like a nice but feeble man, but not think of him as manly, is because his claim to virtue is weak if he doesn’t have the virile fortitude and strength to back it up when challenged. What good are intellectual achievements and moral principles, if those who hold and cultivate them are subdued by those who care nothing for these higher values? It’s important to have principles, but are you prepared to fight for your principles? Likewise, can you truly say you’re a “good family man” if you could easily be outmuscled by a bad guy trying to get at your wife and kids? Before modernity, a man had to be physically strong in order to survive and reproduce. Whether battling the elements or other men, our ancestors had to rely only on their cunning and physical strength to come off as the conqueror. The men who tried to prove themselves in battles or hunts, dared to do great things, and had the physical strength to surmount any obstacle were the ones who were able to father children and pass on their genes. The ones who did not take the gamble, or did not have the strength and prowess of their peers, died childless, and their hapless genes died with them. What this means is that we are all descended from the strongest, fastest, smartest, bravest men of the past — the world’s alpha males. It is no stretch to conclude (as Dr. Roy Baumeister does in Is There Anything Good About Men?) that the blood of greatness runs through our veins. So, what are you doing with that genetic inheritance? Sitting all day while stuffing your face with taquitos? In “Train for Honor,” an essay included in the book Sky Without Eagles, writer Jack Donovan argues that we shame our manly forebearers by squandering the legacy of physical strength they’ve left in our genes. “Imagine the disgust and contempt our ancestors would have for us all if they lined up modern men on the street,” writes Donovan. 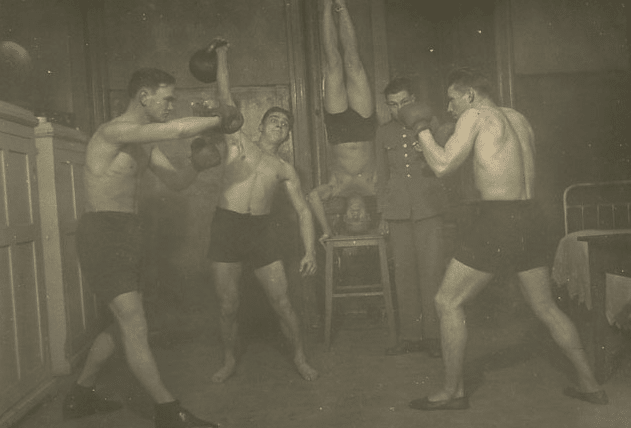 When we train to be physically strong, we show reverence and honor for the men who came before us that had to be physically strong so that we might exist and enjoy the comforts we have today. 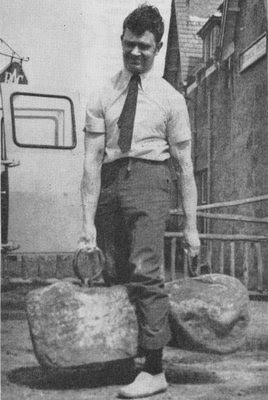 Performing a deadlift is like lighting a votive candle for our manly ancestors. Strength-building simply feels awesome, and manly…and awesomely manly. Finally, besides the practical and character-building benefits that accrue to the physically strong, it just feels awesome knowing you can hoist a lot of weight off the ground. 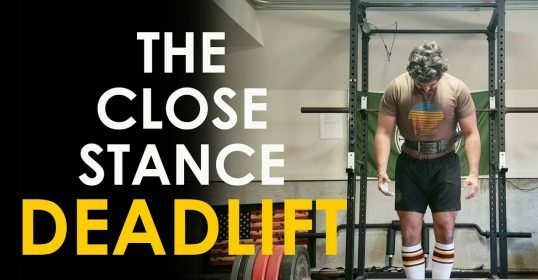 The first time I deadlifted 450 lbs and saw the bar bending in the mirror, I felt like a beast. I let out a primal shout of achievement and carried that feeling with me the rest of the week. Not every man has the physiological make-up to get huge and ripped. But every man can become stronger than he is now. Whatever your other interests, no matter your build, if you want to feel your most virile, you need to get acquainted with the iron. Personally, I don’t think it matters much exactly what your goals are, as long as you’re doing something. The important thing is finding a workout path that you love, that inspires you to get moving and build muscle, and that you’re going to stick with. Even if your main passion is something like running, if you want to be in it for the long haul you would be well-served to make strength-building exercises an essential part of your routine. I will say that I don’t think you should get so huge that your mobility and cardiovascular system is crap, and that you can’t run a mile at a good clip. Nor should you neglect the strength part of functional strength by doing so many reps, so fast, that you don’t increase your muscle mass. If you ever do need to say, lift a log off you, it’s going to be heavy, and it’s going to be something you only do once. But between those extremes, there are tons of options. I change up my workouts all the time. There are times when I just want to see how big I can get. It sounds dumb, but it’s strangely satisfying. When I’m training for something like a GORUCK, some of my workouts will just be walking around my neighborhood with a backpack full of 50 lbs of bricks and stopping every now and then for some push-ups and squats. Right now, I’ve got two 4-mile obstacle races coming up, so I’ve been running more and doing CrossFit-type workouts. Varying my workouts keeps it challenging and keeps me interested. Strength is a defining attribute of masculinity. It’s the literal power that has allowed generations of men to protect and provide for their families. It’s the force that built our skyscrapers, roads, and bridges. While our current environment doesn’t require us to be strong, developing our physical strength is still a worthwhile pursuit, for it lays a foundation for developing the Complete Man. Strive today to become stronger than you were yesterday. I promise as you do so, you’ll see a transformation not only in your body, but also your mind and spirit. Vires et honestas. Strength and honor.